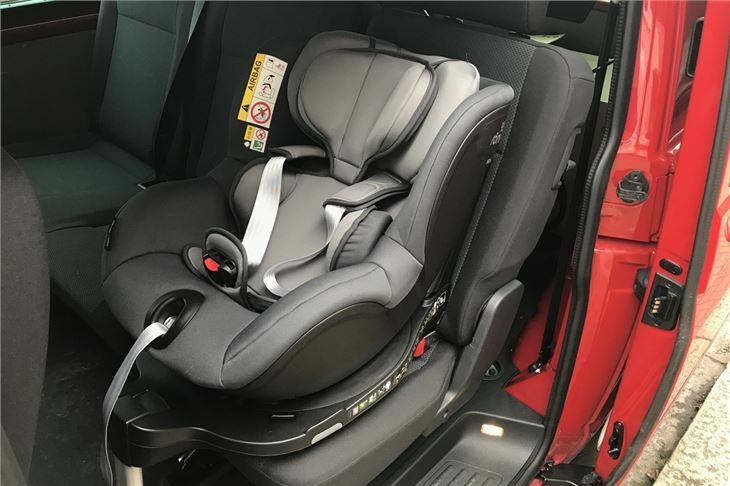 The Britax Römer Dualfix i-size is the updated version of the brand’s swivelling fixed car seat, with this latest version now compliant with the latest i-size safety standards. 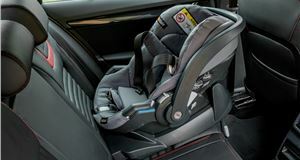 The extra safety kit, which includes more side-impact protection, bumps the price up by around £55 but it is capable of safely taking a child through its first four years with little more than a bit of adjustment as they grow. Even with that in mind, the Britax does come out slightly more expensive than similar Group 0+/1 rivals from Joie, Cybex and Maxi Cosi. 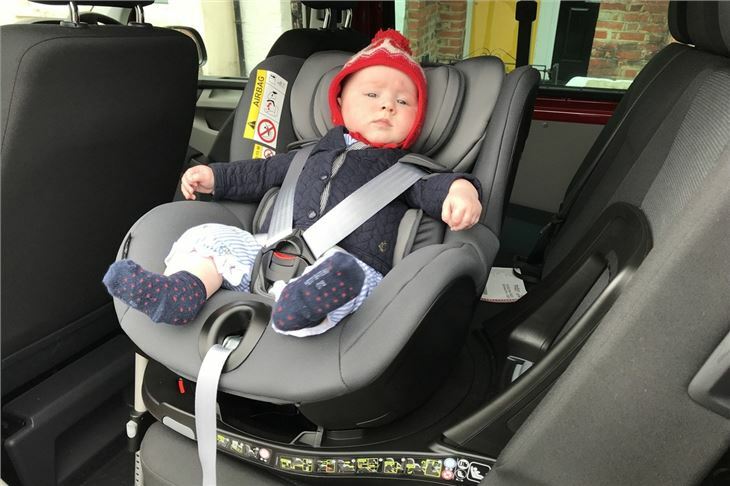 One of the recommendations of the new i-size safety standards is that children sit facing backwards up to 15 months old, plus a rotating car seat means there is no agonising over the point at which you switch from the first seat to second – you simply spin it around. Like most swivelling chairs, the Britax is one fixed unit, and you can’t take the seat off to attach it to a travel system. The spin function is easily engaged by a lever on the base. 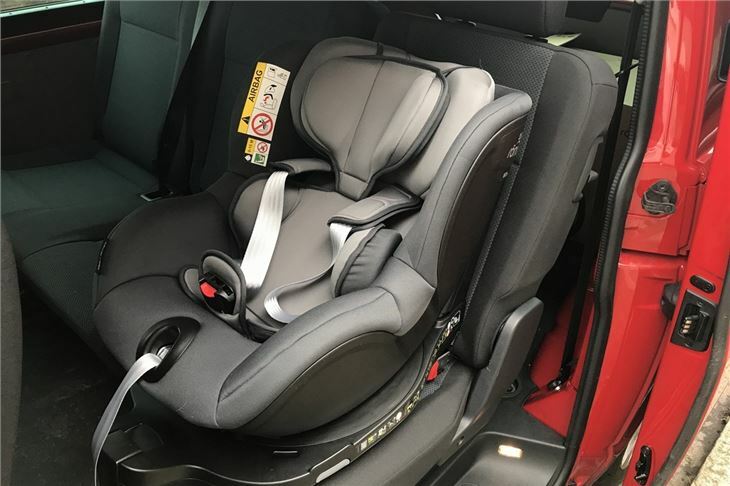 As well as the long extending support leg, the Britax comes with a rebound bar, which can be set at eight different angles to fit in with a wide variety of car seat backs. Because the Britax is one big unit, it is quite heavy, weighing in at a hefty 15kg. Even by the standards of similar chairs that is quite hefty, but the idea is that it will be put in a car and left there, so ideally it won’t be moved around too often. Getting the chair into your car isn’t that hard, though, despite its notable bulk. 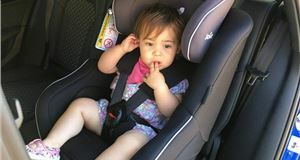 The Isofix arms are pulled as one unit by tugging on a loop of strapping in a process that is much easier than pressing buttons and sliding them out individually as you do on basic bases. The pop-out indicators that go green when it is fully engaged are easy to read, too. 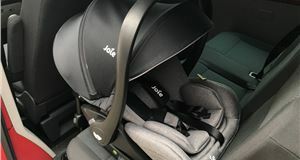 They are very similar to the sort used by brands like Joie and are more reassuring than Maxi Cosi’s lights and beeps system. Adjusting the leg is also simple, with more indicators showing how far out it needs to be pulled and when it is fully seated on the car floor. 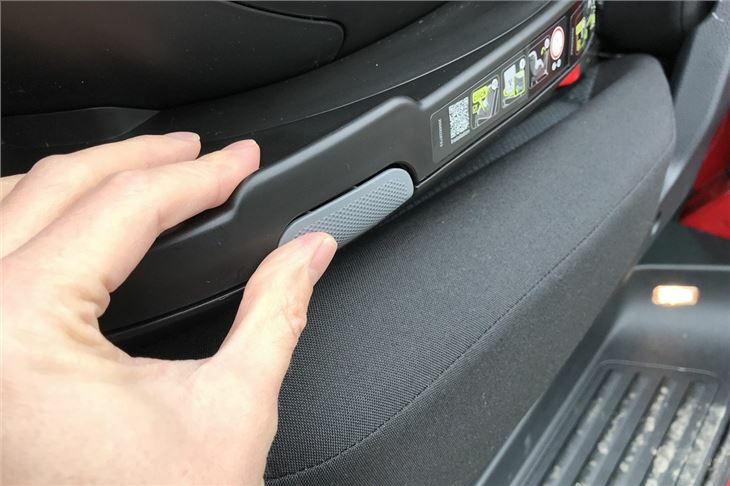 Having the ability to adjust the rebound bar means it will fit perfectly into a range of different cars – it certainly has on the SUVs and people carriers we have tried it on so far. The benefit of the extra heft over rivals is a real feeling of solidity. Once it is locked into place, it really does feel like it isn’t going to go anywhere accidentally. 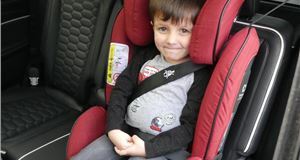 The straps on the Britax are unlike those on many simpler seats, as both ends are secured to the seat, with the buckle half way along, creating a loop. It isn’t any trickier, or easier for that matter, to deal with than the more conventional type. 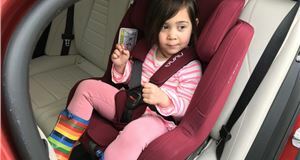 The only thing is that you might have to loosen them a bit more than you would expect in order for the buckles to stay out of the way over the side of the seat. Loosening them is done by pressing a big metal button that is quite obviously located at the foot of the seat, while they are tightened by pulling on the usual strap dangling out the bottom. One nice touch is the shoulder pads, which come with slightly grippy undersides to stop them slipping down once the belt is fastened. 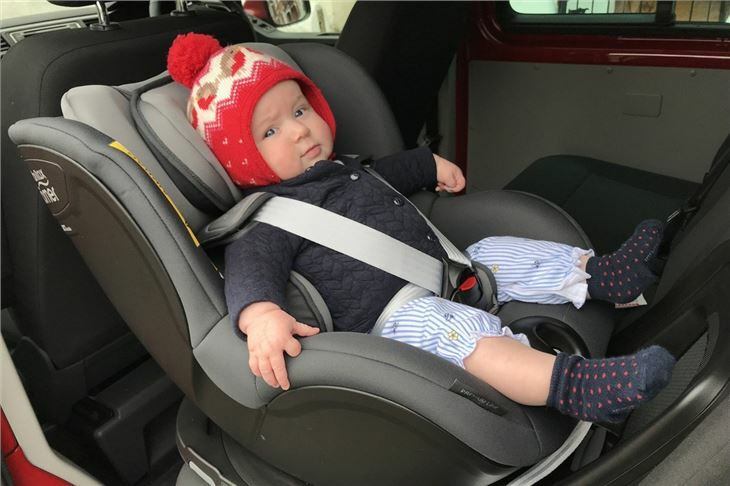 Getting children of all sizes into one chair inevitably involves a selection of inserts, but the one that goes in for an infant is reassuringly solid and is kept securely in place by the straps. The padding around the centre fastening is fixed, which means the buckle is always easy to find and there are never any concerns about the pad slipping and letting the plastic of the fastener rub against a bare leg in the summer. 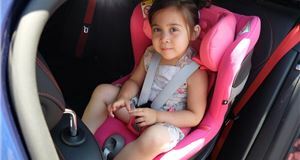 For those that want their seat to match their car or child’s clothing, there is a wide selection of colours to choose from, including a dark pink and - for the really brave - a cream. The covers are removable, though, which might be a necessity for the lighter colours. 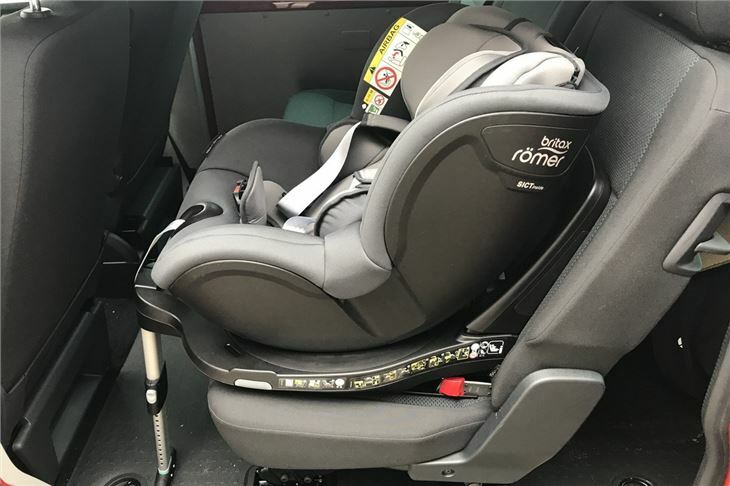 With a price of £430, the Britax Römer Dualfix i-size is a significant investment, but you get a serious seat for that money and one that will see you through the first few years of a child’s life. With an 18kg limit that should be around four years. With all the latest safety kit, including an adjustable rebound bar, you’d be hard pushed to find a seat that is better equipped than the Römer Dualfix. The sheer size of the seat means it is worth checking the dimensions against the space available in your car – it fitted well enough in a 2018 Volkswagen Tiguan and a larger people carrier, but it might be tight in smaller cars. This is the case with many seats, though. 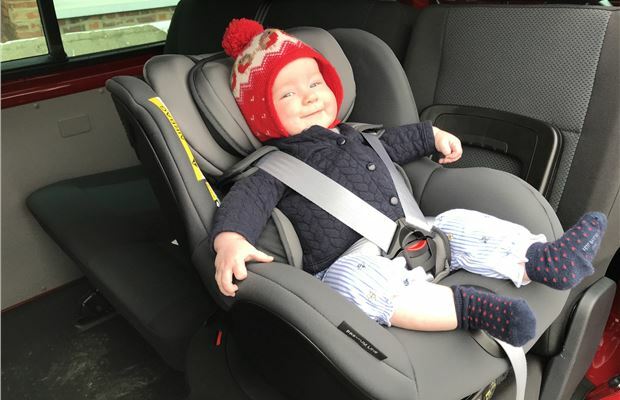 If you don’t need to swap it between different cars on a regular basis then this is a fantastically user-friendly seat that is comfy for little ones.